Marianne was widowed in 1944 when her husband was executed for taking part in the failed attempt to assassinate Adolf Hitler. As the war winds down she battles the chaos of her crumbling homeland to find the wives and children of fellow resisters. She rescues them from refugee camps, Nazi reeducation homes, and from the hands of the occupying Red Army soldiers. Those she is able to find, she brings to an old family castle and creates a makeshift family. Each rescued woman has her own story of loss and perseverance and each has their own secrets to keep and dreams to pull from the rubble left after years of war. This is a wonderfully rich story of the strength of the soul and terrors of war. Each character was a survivor and a hero though their pasts were messy and their choices questionable. What would you do to keep what was left of your family alive when everything you loved has been destroyed? 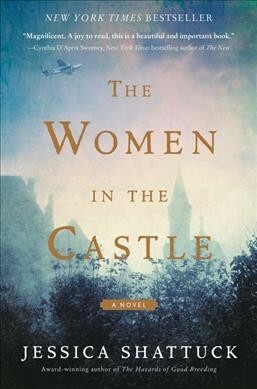 The Women in the Castle touched my heart and brought new light to an often forgotten outcome of World War II.